We Buy Houses Anywhere In Roseville And Within This Area, And At Any Price. Check Out How Our Process Works. We’re Ready To Give You A Fair Offer For Your House. We at Insightful REI will give you everything that you need in terms of professional treatment and real estate sale opportunity. We have a wide variety of contacts within Roseville and adjacent counties that allows us to expand the scope of potential buyers for properties that we acquire. You Cried Out, “I Need To Sell My House Fast in Roseville“? In addition to this, the company is extremely easy to get in touch with and sell house online. Here are the steps to do so. Just visit the website or call our landline number (916) 507-2502 to get a hold of the company personnel right away. Upon calling, you will be prompted to share as much detail as you can in regard to the property and how it looks like. This way, our personnel will be able to give you a rough estimate as to the value of the property itself. After this, we will be able to decide whether or not to pay you a visit for initial inspection. Here, we will be able to find out more about what may need improvement and what can be left alone in terms of renovation. All you really have to do is to make sure that you present the property effectively and everything else will go from there. 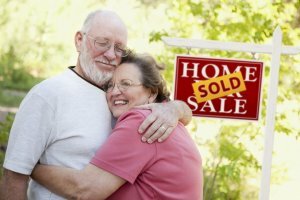 We buy houses in Roseville, CA 95661 and all surrounding areas in CA. You said, ” I need to sell my house fast?” We are here to buy your house fast! !